Powers away tough soap scum and hard water stains without scrubbing. Non-abrasive formula cleans greasy soap scum with fewer strokes, saving time and labor. 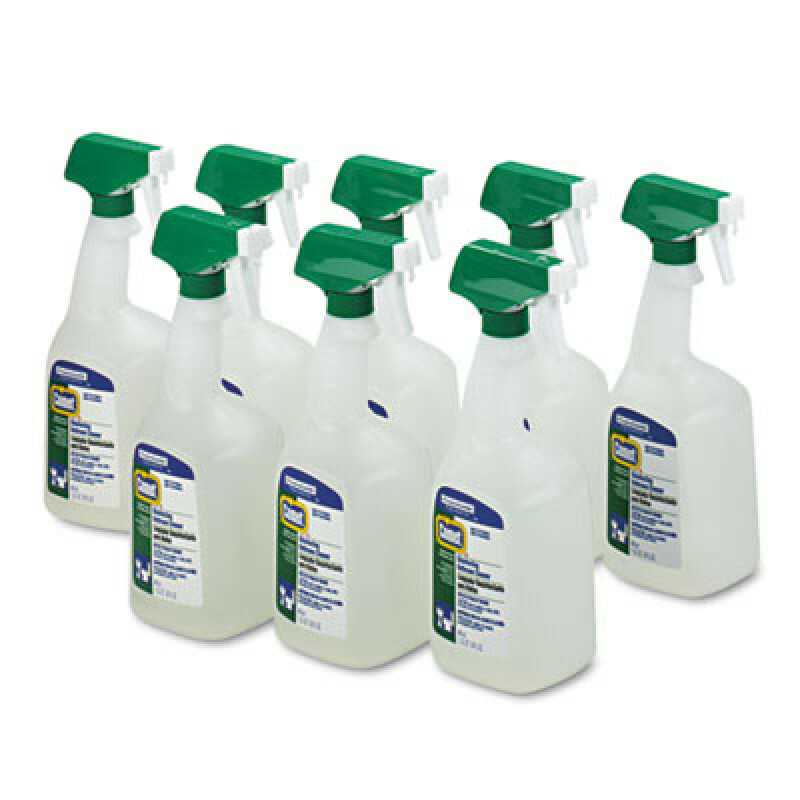 Effectively cleans and disinfects/sanitizes in one step, eliminating the need for multiple products when used as directed. Product delivers a remarkable clean with a pleasant, citrus fragrance. Stock up and save! Application: Disinfectant/Sanitizer/Cleaner; Applicable Material: Ceramics; Enamel; Fiberglass; Plastic; Porcelain; Stainless Steel; Dirt Types: Bacteria; Fungus; Germs; Grease; Grime; Mildew; Mineral Scale; Mold; Organic Matter; Soap Scum; Water-Based Soil; Scent: Citrus. 32 ounce spray bottle. 8 quarts per case. Customers who were interested in the Comet Professional Disinfectant Bathroom Cleaner - Citrus Scent were also interested in the following items. This is a review for the Comet Professional Disinfectant Bathroom Cleaner - Citrus Scent.